Fox Presents Grammy award-winning Melissa Etheridge, who has remained one of America's favorite female singer-songwriters for more than two decades. With great hits like 'I'm the Only One' and 'Come to My Window,' which brought Etheridge her second Grammy Award for Best Female Rock Performance. In February 2007, Melissa Etheridge celebrated a career milestone with a victory in the 'Best Song' category at the Academy Awards for 'I Need to Wake Up,' written for the Al Gore documentary on global warming, An Inconvenient Truth. Melissa will perform at the Martin Woldson Theater at the Fox this Friday, August 4 at 8pm. Tickets available at the box office, by calling 509-624-1200, or online at www.ticketswest.com or 800-325-SEAT. 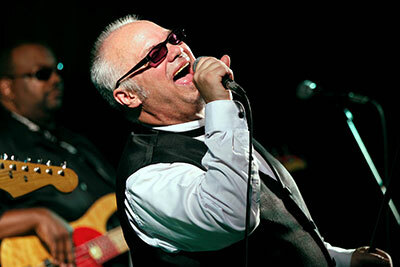 Blues legend extraordinaire, Curtis Salgado is at CdA's Parkside tonight, August 2. Hotel RL by Red Lion at the Park this Friday, August 4 from 6 to 9:30pm. Then Saturday, August 5 it's Anni Piper, Australia's First Lady of Blues. 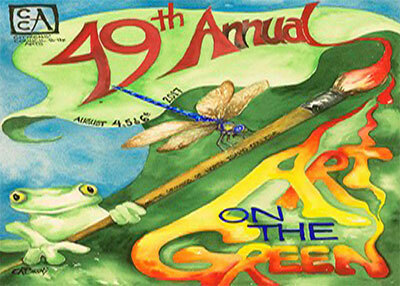 This Friday, August 4 through Sunday, August 6, 190-plus artists, a variety of musicians and performers, and over 500 volunteers will come together to present the 49th annual Art on the Green Arts Festival, located on the campus of North Idaho College. Enjoy live music, great food, beer & wine garden and more this weekend. Hours are Friday noon-7:30pm; Saturday 10am-7:30pm; Sunday 10am-5pm. For more information, visit artonthegreencda.com. 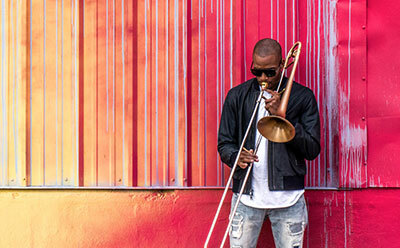 Fox Presents Trombone Shorty, jazz performer from New Orleans, and his band Orleans Avenue in concert on Sunday, August 13, 7:30pm at the Martin Woldson Theater at the Fox. He'll feature many selections from his newest album, Parking Lot Symphony, which captures the spirit and the essence of The Big Easy, while redefining its sound. Ron Greene and his band GRE3NE will be opening for Trombone Shorty. The 2nd Annual Spokane Brewers Festival in support of Feeding Washington will takes place at the Spokane Arena this Friday & Saturday, August 4 & 5. Featuring the best local craft breweries in the region, live music provided by The Inlander, and a selection of local food vendors. Festival runs Friday from 4-8pm and Saturday from 11am-8pm. Tickets available at www.ticketswest.com or 800-325-SEAT. For more event information, visit www.spokanebrewersfestival.com. 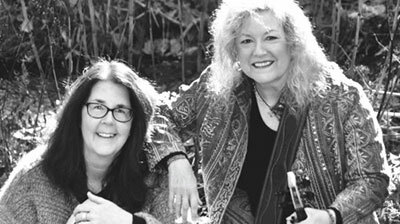 This Thursday, August 3, Benton & Gallagher (Pamela Benton pictured right and Claudia Gallagher, left) perform their blend of indie rock, jazz & folk. Jewelry by Megan Holden and art dolls by Denise Roberson will be on display. Music runs from 5:30-7:30, $5 admission. On Sunday, August 6, the Devon Wade Band will take the stage, performing country hits. Music begins at 5:30 and runs to sunset, $10 admission. It's a big week next week at Northern Quest's Pepsi Outdoor Summer Concert Series. Willie Nelson and Family with Kayce Musgraves is Tuesday, August 8 at 7:30 and Boz Skaggs and Michael McDonald, Friday, August 11 at 7:30. Go to northernquest.com for your tickets. Start saving your appetite for food and music. The 38th Annual Pig Out in the Park is coming up in Riverfront Park the end of the month - Wednesday, August 30 through Monday Labor Day September 4. More than 50 food booths with 225 menu items, and 75 bands on three stages.